1. On Tuesday, October 10 Wake County has a municipal election. Not sure who’s on your ballot? Download your sample ballot before election day here: My Sample Ballot Look Up. 2. Not sure where your polling place is? Check it out here: Polling Place Look Up. Interested in early voting but not sure where to go? Check out a convenient spot here: Early Voting Info. Election Day is fast approaching and we want 100% of eligible Junior League of Raleigh members to get out and VOTE. To encourage your participation, we are having our #JLRVotes selfie campaign with a chance to win an awesome prize! VOTE (whether it is in early voting or on Election Day on October 10). Take a picture of yourself with your “I voted” sticker outside the polling place (remember it is illegal to take a picture inside of your polling location). 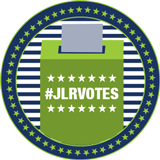 Email your name and photo to JLRvoterselfie@gmail.com and it will be posted to the JLR Facebook page and Instagram with the hashtags of #jlrvotes. Email must be received no later than October 12, 2017.